15 Easy and Stylish Eye Makeup Tutorials – How to wear Eye Makeup? Eyes are the most attractive feature of humans. Eyes reveal your personality. Good looking eyes can easily make you stand in every occasion. 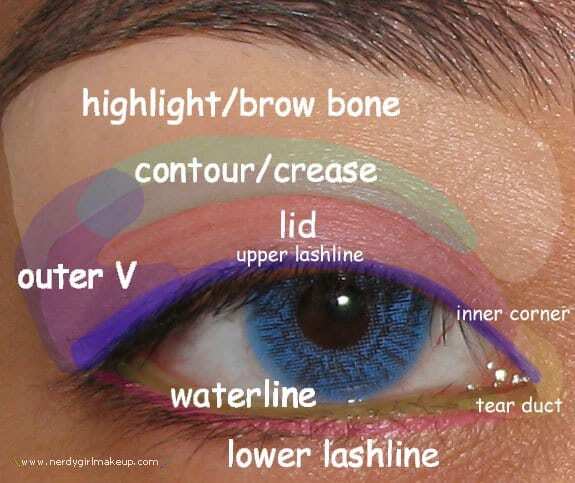 How to wear eye makeup? How to choose the right eye makeup? these are the common questions that comes in every girl’s mind before getting ready for different occasions. That is why we bring you this 15 easy and step by step eye makeup tutorials collection that suits you for most of the occasions like eye makeup for parties, eye makeup for bride , eye makeup for small eyes etc. To begin with the eye makeup firstly you need to cover up the dark circles under the eye. For this apply a good quality foundation or a concealer over the eye. Once this step is done you can use a corrector. Then start applying the favorite shade. For an instance take a golden eye shadow and apply it on the eye. But to start you need to have a proper brush for this. Now you can apply a dark kohl inside the eye. Kajal or the kohl is the most important makeup item to apply. Make sure its from a good company. For the eye shadow use a flat brush. They are easily available at the makeup stores. The flat brush will help you achieve the best results. Use the best colors so that they can add more intensity to the look. You can use a Lakme shade like Rush and then apply a golden glitter over the eye. Dark kajal or dark kohl adds a thicker line on the upper and lower eye lash line. To create maximum intensity you can use a liquid liner. If you wish to apply a winged liner to create a bold dramatic look then you need to take the liner to a point at the outer eye this will create a winged look. For more ideas, you can have a look at the pictures below. Do not forget to apply mascara to your lashes. Also, do fill your eyebrows with the eyebrow pencil. It will make them darker and fuller. This way it will create a gorgeous and stylish eye makeup look. Hope you enjoyed reading the post. Do try the makeup techniques. For further assistance, you can see the pictures. They will give you an adequate amount of idea that will help you in doing your own makeup your way. Hooded eyes are the most difficult to work with when using eye-makeup. In simple words, hooded eyes have an extra layer of skin around the crease area which make the eyes appear smaller. The cut crease eye makeup is specially designed for such eyes as it creates the illusion of a defined crease and bigger eyes. You don’t really need eyeshadows for perfect eye make-up. Instead, you can get a very professional smokey look using an ordinary kohl pencil. All you need is a black eye pencil or eyeliner, and create a V at the outer corners of your lid and then smudge it using a brush or a cotton bud. Remember to wear a good mascara for long and voluminous eyelashes that will simply add depth to your eyes. 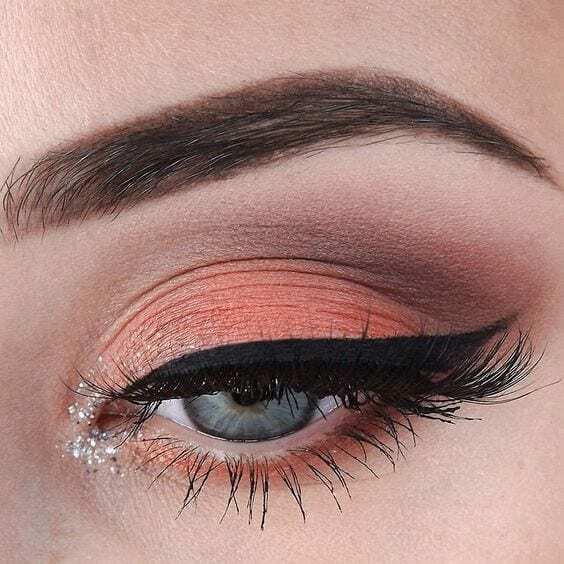 Eye makeup like this one looks fabulous in the season of colors, which of course is none other than Spring. You can alter the colors according to your outfit but make sure that you use the darkest color to block the outer V. The blue color used under the eye is an excellent way to make your eyes look bigger and it works with all eye shapes and colors. Caz, aka Vixen, has been freelance creative writing for several years. She has a lot of experience in different fields including high street fashion, tattooing art, and even the gothic and historical costumes. Caz has a Diploma in Fashion and Textiles and also a Bachelors Degree in Historical Costume and Corsetry. Her passion lies with gothic design, corsetry and any other styles considered to be taboo or unusual. Style-wise Caz has a love for Vivienne Westwood and her take on the punk era. Although Caz loves the weird and wonderful, she has a deep love for all fashion and allows this to show through her work. Loving this. I have been trying to do my eye makeup but I always mess up. Thanks for sharing. I really love makeup and with this, I get many new and unique ideas about makeup. Please share with me some ideas so I come to know about this because I love fashion and want to explore more.